If I Lost My House Through A Foreclosure, Can The Mortgage Company Come After Me For The Deficiency? In the state of Missouri, yes they can. This may not have necessarily been the case several years ago, when the economy was in better shape. When a house was foreclosed upon in 2002, the mortgage company or bank would have been just as likely to write the debt off as to come after you for the deficiency. But in this economy, it is a much different story. First of all, when a home loan is foreclosed upon, the sale almost always results in a deficiency. This means that the home sold for less than what was still owed on the loan. For instance, if you have a home loan for which the outstanding balance is $140,000, and that loan is foreclosed upon; but at the foreclosure sale, it only goes for $100,000 (believe me, foreclosure prices are bargain-basement; that is also why foreclosures tend to have a depressing effect on the values of surrounding homes). In this scenario, a deficiency of $40,000 is created (140,000 – 100,000 = 40,000). And it is this amount that the mortgage company can demand from you. Of course at this point, the $40,000 becomes unsecured debt (as opposed to the secured character it took on before), because there is no longer any collateral to secure the debt against (i.e. the house that was foreclosed on). So if you can’t make payment arrangements on the 40K, the mortgage company (or collection agency that they turn the debt over to) will likely sue you for breach of contract. And once they get a judgment (and believe me, they will), the creditor can do things like garnish you wages or exercise a levy against your bank account. Fortunately, this kind of debt is dischargeable in a Missouri bankruptcy. And if you are dealing with other kinds of debts (such as credit cards, medical bills, payday loans, etc. ), bankruptcy can get rid of these things as well. Whether you file a St. Louis Chapter 7 bankruptcy or a St. Louis Chapter 13 bankruptcy, unsecured debts are taken care of, garnishments stop, bank levies are unfrozen, and the creditors can no longer harass you. Once the automatic stay is in place (the legal mechanism that the court uses to protect you) and you thereafter receive your official discharge of debts, you are well on your way to the ‘fresh start / clean slate’ that the court grants you. 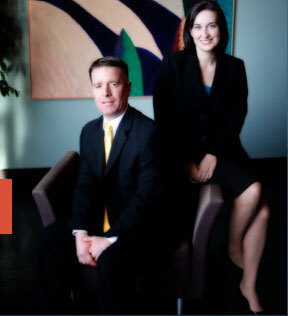 The affordable St. Louis bankruptcy attorneys at Brinkman & Alter, LLC have been helping people fight back against creditors for years. Our bankruptcy lawyers are prepared to guide you through the process from beginning to end, and put you on the road to financial freedom. All phone conversations and office consultations are free of charge.